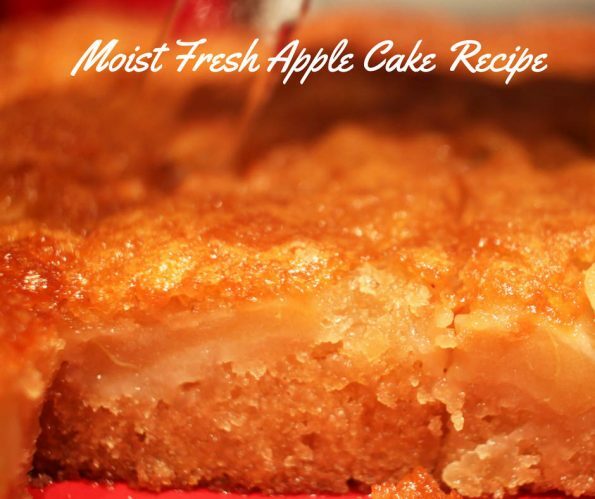 This sticky and extra moist fresh apple cake recipe is one of the most best and easy fresh apple cakes recipes made from scratch using fresh apples. I made this best sticky and moist fresh apple cake recipe without any eggs as I already had used eggs for other recipes on the same day. I didn’t want to use too may eggs the same day, so I decided to go for an egg less apple cake . And I used apple cider vinegar in this apple cake along with the use of three fresh and sweet apples. 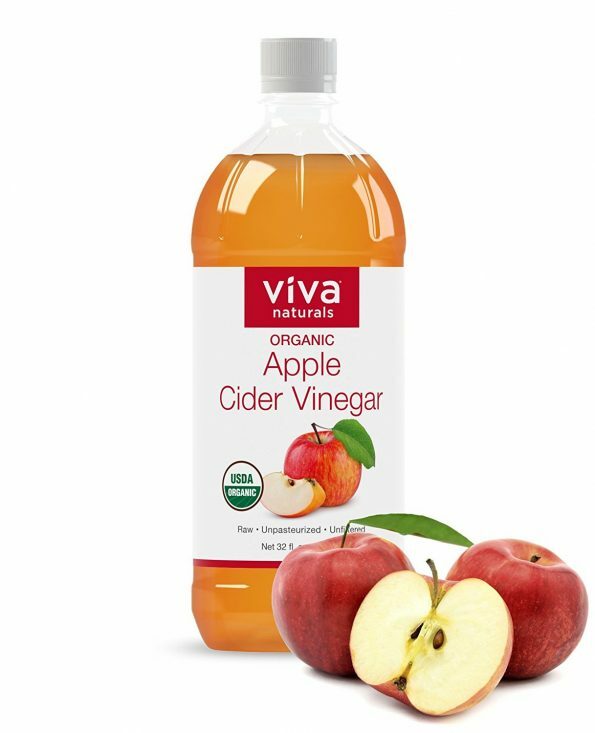 The use of apple cider vinegar helped me replace the eggs as well as made the cake extra moist and full of pleasant and fresh apple flavor. 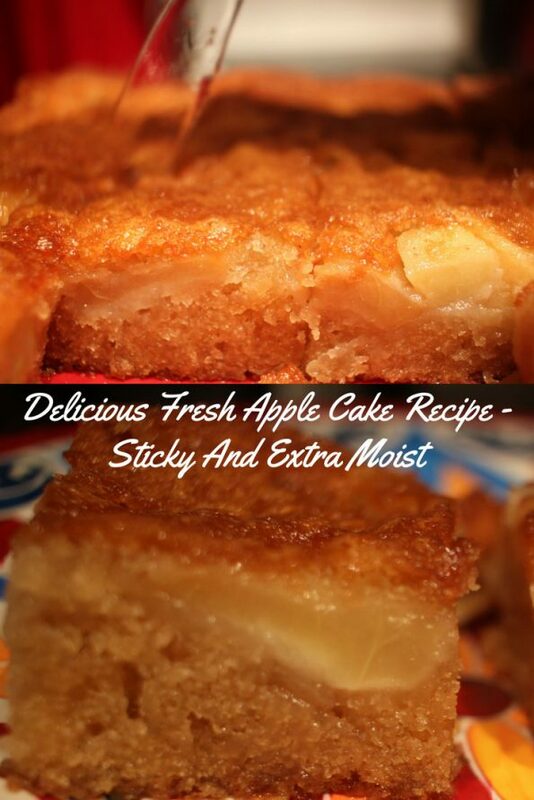 Let us see the recipe for this delicious homemade, sticky, easy and best moist fresh apple cake recipe from scratch. This very moist and sticky apple cake is so delicious and easy to make using fresh apples from scratch. Peel the apples and cut them in to medium sized pieces. I sliced the apples in slightly long pieces with medium thickness. Sprinkle some sugar and keep it aside. In a bowl, mix together the dry ingredients - flour, baking powder, baking soda and cinnamon powder. In another bowl, beat together the butter and sugar. Add milk and vanilla extract to the butter and sugar mixture. Add apple cider vinegar to the wet ingredients mixture (butter sugar milk mixture) and gently mix everything together. Add this wet ingredients mixture slowly to the bowl of dry ingredients mixture with flour, and mix everything well to form the cake batter. Finally add the apple slices to the cake batter and gently fold in the apples to the batter using a spoon. You can even out the slices in the batter by using a spoon very gently. Grease a cake pan (I used a square steel cake pan) with butter and pour the cake batter into it. Bake for about 35 to 40 minutes or until a toothpick inserted in the center comes out clean. The cake is very moist and top may start to turn brown. If needed, you can cover the top of the cake pan using an aluminium foil once the top of the cake starts browning and then continue the baking. 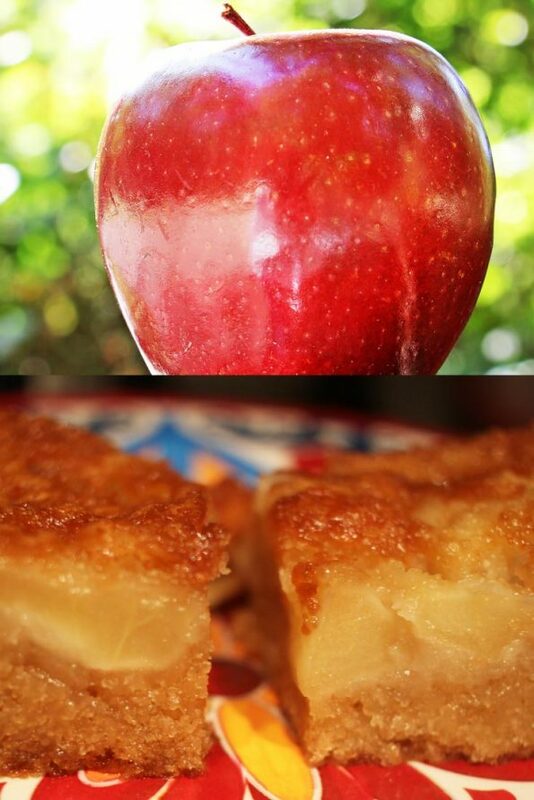 My apple cake is done in 40 minutes and filled my home with the pleasant smell of apples and cinnamon! Allow the cake to cool completely before you try to remove the cake from the pan. 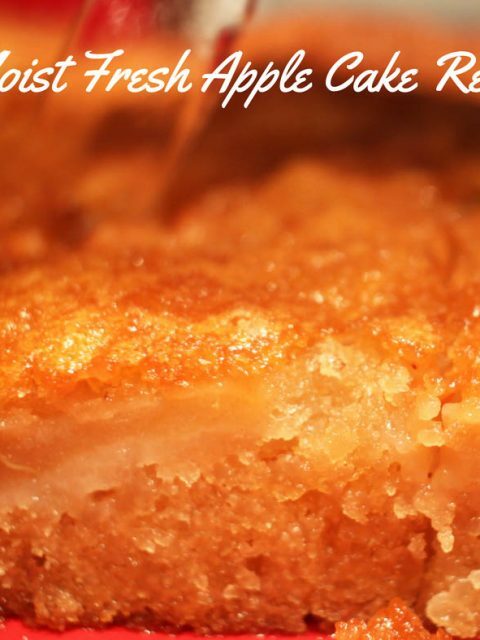 Enjoy the delicious, moist and fresh apple cake with tea or coffee! 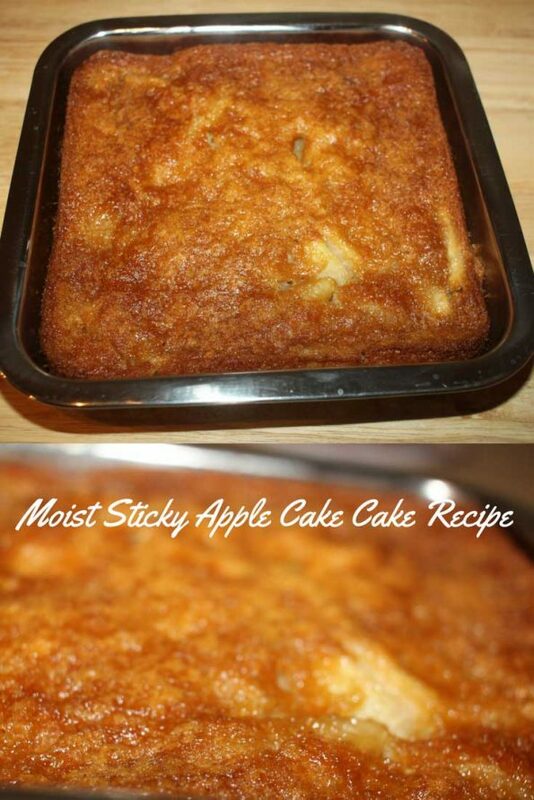 Hope you like this post on sticky moist apple cake recipe using apple cider vinegar!